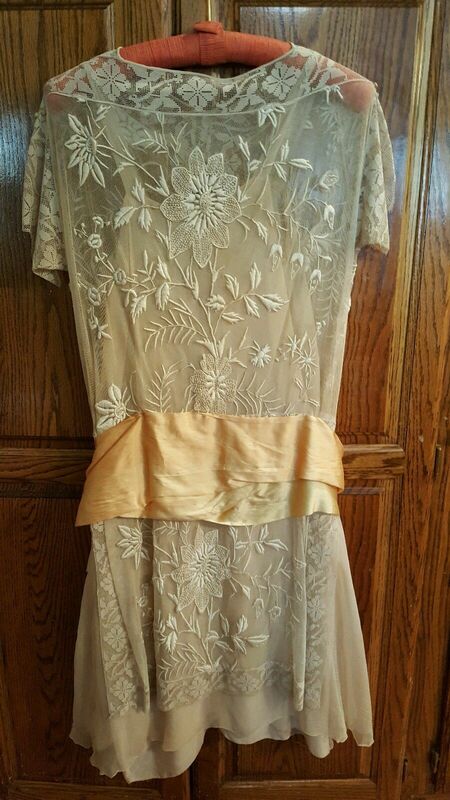 This dress is bring relisted because the winning bidder actually said she tore it as she was trying it on. The measurements were in the description, and I don't understand why someone would try to squeeze into an antique 1920s dress. 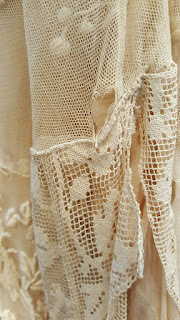 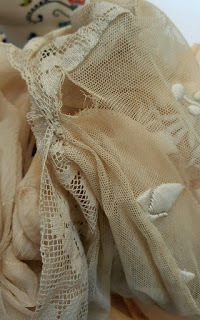 Anyway, it is not torn too badly, and I have taken pictures of the torn areas that are on the underskirt or covered up by the sash. 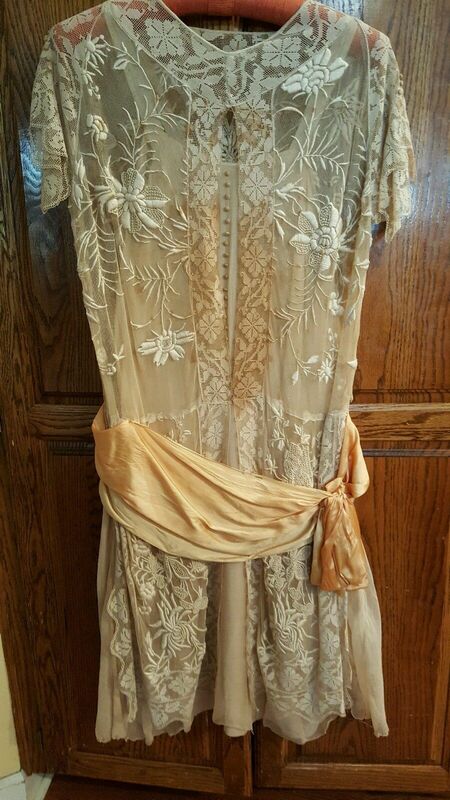 It is a beautiful elegant 1920s embroidery and lace dress that has a crepe silk underslip with 22 crocheted tiny buttons going down the front. 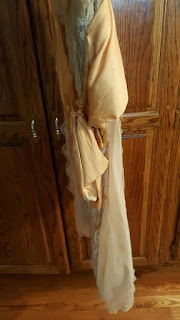 It also has an 8" wide sash that ends in a side bow. It measures 43" long, 40" bust and 50" hips. 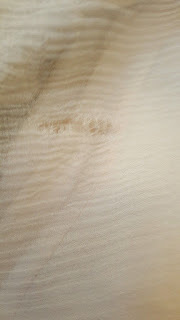 It has some age light staining that will come out with professional cleaning because of its delicacy. 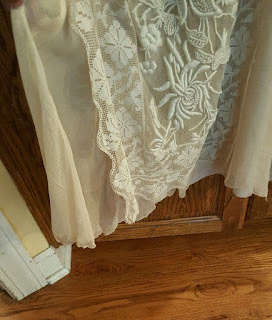 I am selling "as is" with no returns. It is still a gorgeous dress! 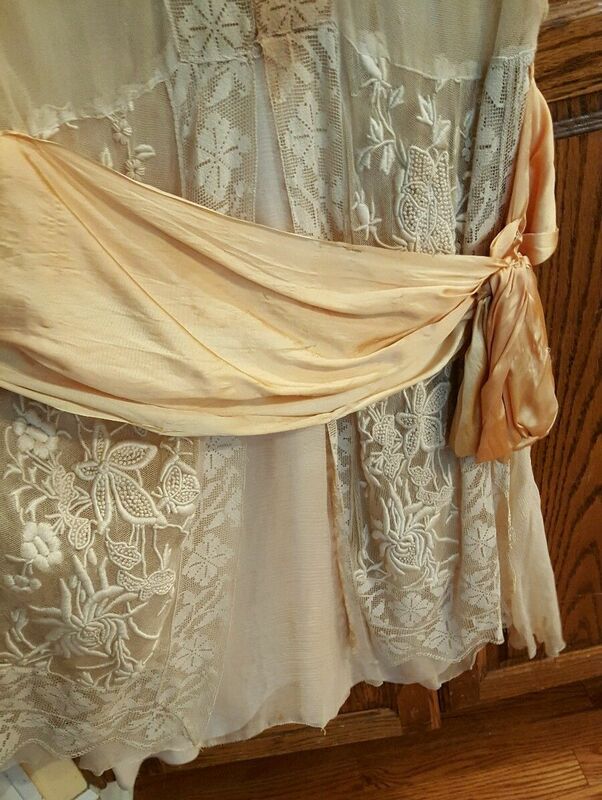 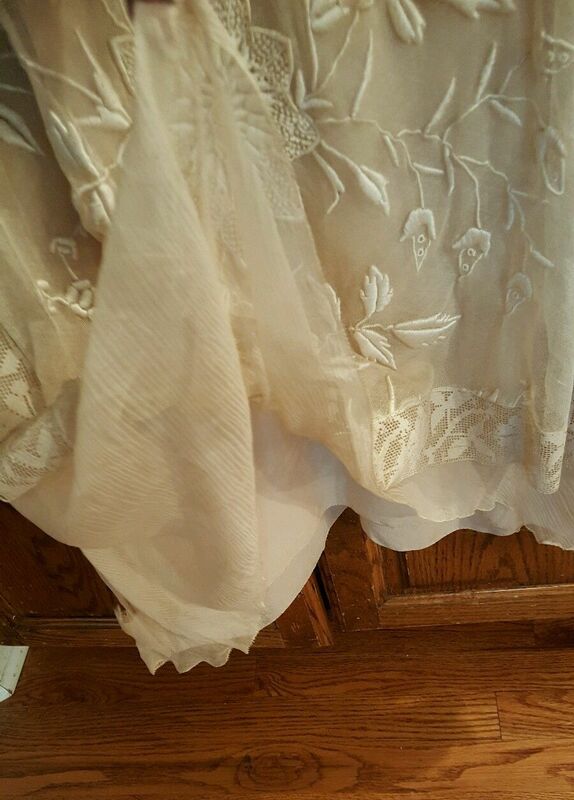 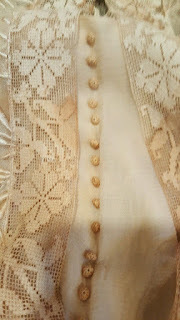 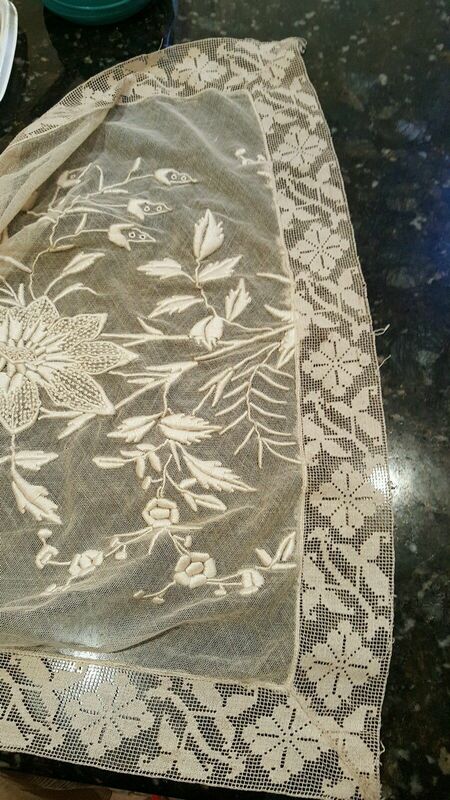 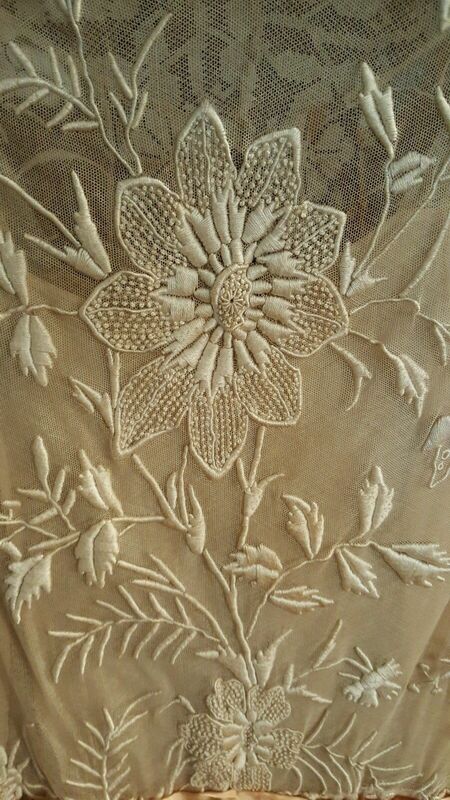 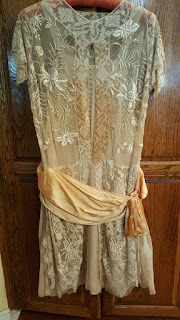 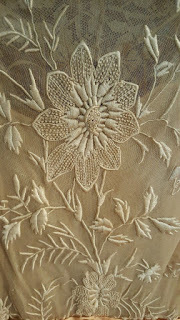 I actually have a long width of fabric with a very similar embroidery pattern from the 1920's - I wouldn't be the least bit surprised if the silk was bought embroidered and the lady simply cut it out, added lace, and made the rest into a dress.